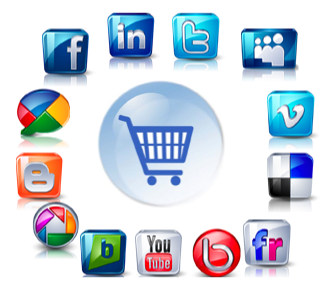 There is a new fad coming… the latest and greatest in marketing with new media… it is called Social CRM. I think actually I might have called it direct marketing to digital natives before someone coined the social CRM phrase – but I’ll give them the credit because it does roll off the tongue a lot easier. 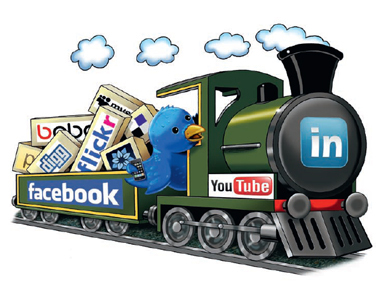 So what it is all about, and as CRM Challenge says, is it time to get on board? Customer relationship management (CRM) is a broadly recognized, widely-implemented strategy for managing a company’s interactions with customers, clients and sales prospects. It involves using technology to organize, automate, and synchronize business processes—principally sales activities, but also those for marketing, customer service, and technical support. The overall goals are to find, attract, and win new clients, nurture and retain those the company already has, entice former clients back into the fold, and reduce the costs of marketing and client service. Customer relationship management denotes a company-wide business strategy embracing all client-facing departments and even beyond. When an implementation is effective, people, processes, and technology work together to increase profitability, and reduce operational costs. This gives us a very clear idea of what we mean by CRM, with a focus on the interaction using technology to build business. So once the concept of CRM is firmly under control we can begin to understand what the benefits and pitfalls of the addition of this social component really mean. The social web is still very much in its infancy, but the prominent players emerging are Twitter and Facebook, so what does CRM look like on these platforms? Facebook: CRM within Facebook is really now beginning to take off, it covers a number of different areas from messaging within the platform to users who are either friends, fans or likes – to interaction on the wall of the brand (interaction on a users’ own wall needs to come from an individual). Certain brands who have found limitations within the Facebook model, or who are uncomfortable with it, use the CRM functionalities to continue the acquisition process to convert an individual to their own proprietary database and hence into their legacy CRM models; with the growth of Facebook connect, we are also seeing brands that use the Facebook platform on the their own sites and can start to build user information from outside the Facebook environment but still use it in the same way. Twitter: Here we see a messaging platform that can work in a number of different ways from simply quoting someone’s username (mention) to interacting with them via Direct Messages (DM); depending on the extent to which a user has engaged with the brand. Much like TV and print have trained us on scarce media resources, the 140 characters of Twitter force communicators to be brief and to the point – hence however commercial a message might be, it is sure to be brief! Beyond mentions and DM we are now also moving into more advanced functionality using hashtags (#) which allow us to collect multiple tweets around a similar subject and using certain tools (eg. TweetChat) to make Twitter into an ongoing chatroom conversation. As we move into an era where communications between brands and between individuals is growing dramatically online, the differences between traditional advertising, direct marketing and CRM are beginning to disappear, we also realise that we are applying CRM strategies and tactics without really knowing it. Where we once thought of CRM as communicating with users of our own database (ie our customers) we can now expand this to anywhere we can create a list of individuals who express an interest in the brand, be it on a blog, within a Facebook group or on Twitter and hence as we launch activities on these platforms we include direct tactics. The challenge becomes integrating the information from each of these distinct pieces of the puzzle to enrich our overall customer knowledge and deliver the right message. The chart here shows how we need to integrate these external components into our overall CRM systems to have a holistic view of the individual (regardless of what platform we interact on) and be able to deliver the most targeted message. The video below with Paul Greenberg (@PGreenBe) gives us some insight into where we are in moving from a ‘baby industry’ into a real marketing tool. 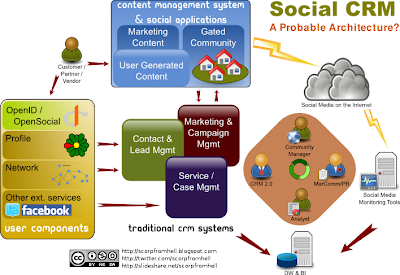 Social CRM is already here and chances are you are already participating or even doing it – what is key now is to understand how to control and make the best use of it. Next story Is a Facebook page the new blog?